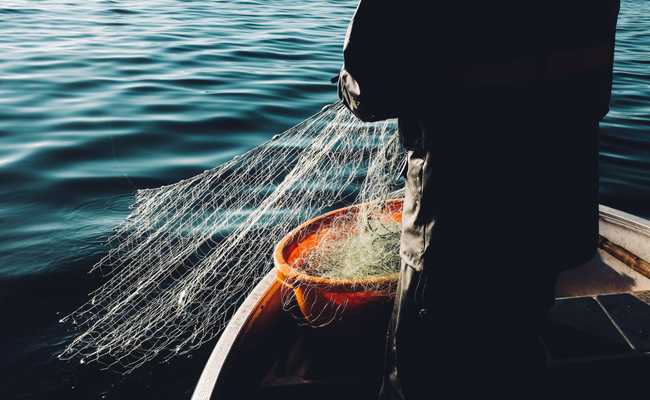 Care2 Healthy Living | Is Sustainable Fishing Really Possible Right Now? Is Sustainable Fishing Really Possible Right Now? Conventionally, the term “sustainable fishing” implies a harvesting model by which fish are captured at a sustainable rate — i.e. one where the fish population does not notably decline over time due to overfishing. Unfortunately, wild fisheries are believed to have peaked and begun their decline — some would argue an irreversible one. So where does that leave us? Is sustainable fishing really a possibility in 2018? Let’s take a look. What makes a fishery ”sustainable”? The goal of a sustainable fishery is to guarantee long term constant yield — a.k.a. fishing at a level that still allows nature to adjust to its “new normal,” without compromising future stock. Sustainable fisheries study the population dynamics of fishing, employ individual fishing quotas, and work to curtail destructive fishing practices by lobbying for better policies and setting up protected areas — the goal, of course, being to maintain healthy habitats, as well as healthy gene pools, and to avoid depleting fish populations in general. That said, whether this is enough to ensure sustainable harvesting is a really touchy subject. Keep reading to see what the research has to say! Isn’t there plenty of fish to go around? There really isn’t — at least, not anymore. 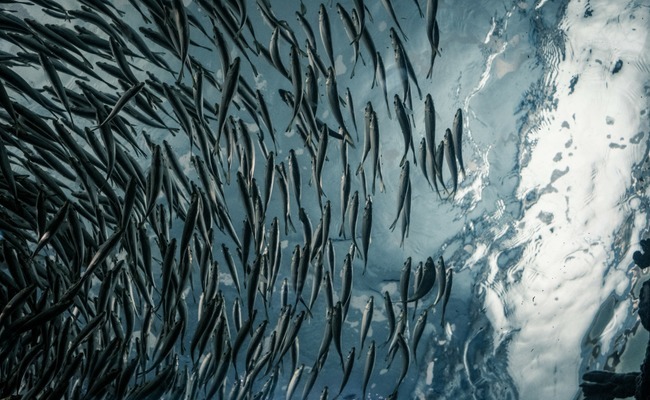 Overfishing, while considered economically foolish, is not typically considered unsustainable, provided that rebuilding the population afterwards would take no more than a single generation. Unfortunately, it seems that we’ve been overfishing for too long. Overfishing precedes severe stock depletion and fishery collapse. Today, more than 80 percent of fish species are either fully exploited, overexploited, depleted, or recovering from depletion. If we do not halt overfishing, it’s predicted that the stocks of all species currently commercially fished will collapse by 2048. That’s just around the corner. What about farmed fish. Aren’t they immune to overfishing? Unfortunately, no. Farmed fish are fed products from wild fish (also called forage fish, prey fish or bait fish), populations of which are also threatened. Simultaneously, fish that occupy higher trophic levels — salmon, for example — are carnivorous and require high protein diets to sustain growth throughout the entire lifecycle, making them very inefficient sources of food energy. This dependence of salmon farming, for example, on the availability of high-quality proteins such as fishmeal and fish oil is already having negative effects on wild fish stocks. There’s only so much food to go around. Is overfishing an isolated problem? Nope. First, as with most environmental issues, overfishing has the potential to drastically alter the balance of our global ecosystem. Experts are concerned that heavy fishing, and the resulting loss of marine diversity, may result in a serious erosion of resilience to environmental fluctuations and, ultimately, an inability to recover former levels of productivity. At some point, the ecosystem just can’t take it any more. Second, overfishing is happening in the context of climate change and global warming. Rising ocean temperatures, ocean pollution, and ocean acidification are radically altering marine ecosystems (75 percent of the world’s key fishing grounds are affected), while rising sea levels, changing rainfall patterns, and increased drought are putting inland fisheries at risk. No fishery is immune. Third, overfishing is beginning to stir up social unrest. With fish supplies declining all over the world, fisherman are traveling farther and farther to maintain their livelihoods. Frequently, fishermen are forced to cross over into competitor territory, creating both social and political conflict. While the geopolitical impact is being felt most strongly in Southeast Asia, mainly the South China Sea, tensions between Mexico and Florida, as well as Russia and those fishing in the Bering Sea are growing. If overfishing continues, you can expect international conflict to grow with it. As Captain Paul Watson says, there’s no such thing as sustainable seafood in a dying ocean. “If the oceans die, we die.” If you want to protect marine wildlife and prevent the negative affects of overfishing, lowering your seafood consumption is the best thing you can do. You can also make a difference by becoming more informed on issues of overfishing. Many people are still unaware of the consequences of overfishing. Fortunately, you are not! Does overfishing worry you? What are you going to do about it?